Douglas, Wyoming is home to the Wyoming State Fair (every August), the Wyoming Pioneer Museum, and the Wyoming Law Enforcement Academy. Agriculture remains important culturally with active ranching of horses, sheep, and cows. Rodeo is another iconic part of the community’s activities. However, the energy industry is dominant in the economy. Workplace issues for coal miners, railroad workers, uranium, and oil industry workers make up a large part of medical practice in this area. 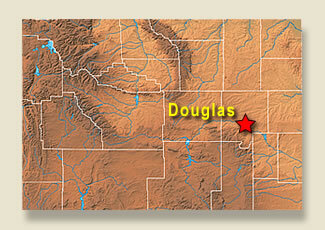 Douglas also claims ready access to year round outdoor sporting activities including hunting, fishing, North Platte River and Glendo Lake recreation, as well as mountain hiking at nearby Laramie Peak which rises to 10,300 feet from the 5,000 foot elevation of the town. There is an excellent paved airport with 6,000 foot prevailing and crosswind runways which enable medical transport by jet or helicopter as well as recreation with small fixed wing craft. Winters are mild enough that the local 18 hole golf-course is often active all but a few weeks of every year. Dr. Morgan graduated from Boston University School of Medicine in 1980 and did his residency at the Family Medicine Residency in Casper, WY from 1980-1983. He was board certified by the American Board of Family Medicine in 1984. Special Training/Experiences include: Advanced Cardiac Life Support, Advanced Trauma Life Support, Neonatal Resuscitation and P.A.L.S. and ALSO. Dr. Morgan is currently serving as Chief Medical Officer at Memorial Hospital of Converse County (MHCC). Dr. Morgan has a strong interest in the development of Electronic Medical Records for both the hospital and physician offices. He is championing the implementation of those tools on behalf of the medical staff and the hospital. In his quiet time, Dr. Morgan enjoys medical spanish, fly fishing, camping and is a private pilot. Clinic: Memorial Hospital’s new medical office building is a 22,400 square foot medical clinic, next to the Knisely Center. It is a patient centered medical home. Patients are enjoying thier new clinic: In 2015 after one year in their new space, the clinic received improved Press Ganey outpatient scores, going from 20 to the 90+ percentiles! 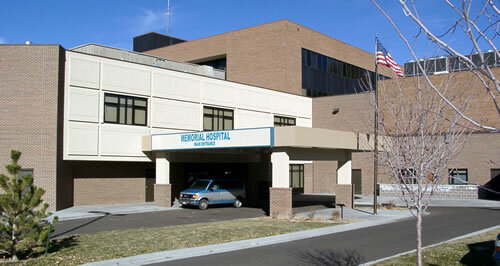 Hospital: Memorial Hospital of Converse County (MHCC) is a state-licensed; Medicare certified, 25-bed Critical Access Hospital located in Douglas, WY. Recognized as “Top 100” Critical Access Hospital by the National Rural Health Association. State of the art facilities and board certified providers create a unique healthcare system designed around the needs of its patients. The hospital offers the only DaVinci Si Robotics Program in Wyoming and students get to observe these surgeries if they want to follow those patients having such (currently only hysterectomies and cholecystectomies). MHCC augments its adult inpatient care with both a hospitalist team and an ER team. These teams, along with its family practice, pediatric, and OB/Gyn physicians, ensure Douglas-area families receive the best care possible. Students are welcomed in the ER and to work with the hospitalists. Physical therapy, the Marge Wilson Wellness Center, and general and orthopaedic surgeons using and state of the art digital surgery suites (DaVinci Si Robotic surgery program), offers the perfect environment for MHCC patients to get well and stay healthy. Nursing Home: Douglas Care Center is a premier skilled nursing and rehabilitation facility in Douglas that provides physical and occupational therapy. We are Medicare, Medicaid and Hospice certified. We have finished our construction expansion project, which now provides us with a total of 60 long-term care beds, 20 of which are Alzheimer’s care beds. Our renovation and new construction also includes a new laundry facility, cutting edge technology, added comforts including 32″ flat screen TVs, expanded dining and activities room. Our facility is almost twice as big as before totaling 29,454 square feet, which includes a bariatric suite with its own shower room, 4 semi-private rooms, 34 private rooms, 1 new shower suite, 1 new bath shower/suite, with a new whirlpool tub. Housing & Car: Medical student housing is supplied for up to two students at a time in the historic and modernized Morton Mansion, a famous residence on the Historic Registry, located across the street from the hospital. No pets allowed. A hospital vehicle can be borrowed by students who fly to this site, but proper licensure and acceptable driving record will need to be confirmed prior to arrival. To see a map of where we are located and/or get directions from other locations, go to maps.google.com (for directions, click “get directions” in the upper left hand corner where you can input the starting address. From Billings: Merge onto I-90E via exit 456 towards Sheridan, Wyoming. Merge onto I-25 S via exit 56B toward Casper. Take I-25 BL exit, 140 toward Douglas. It is about a 4.5-hour drive. From Cheyenne: Take I-25 North to Douglas, WY – about a 2.5-hour drive. From Casper: Take I-25 South to Douglas, WY – about 1 hour drive. Casper, WY; Cheyenne, WY; Billings, MT or Denver, CO will provide your major carriers. Douglas has a number of great activities to part take in. 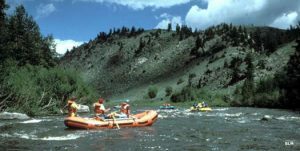 With the beautiful outdoors you can be doing anything from hiking to hunting, raft down the North Platte to golfing, camping to fishing. You name it Douglas probably has it. Douglas even has GeoCaching! Want a break from the outdoors; enjoy a little ice-skating or some ice hockey. Douglas can entertain you with movies or bowling as well. Summer average 80-85 degrees, Winter average 40 degrees, 330 days of sunshine.